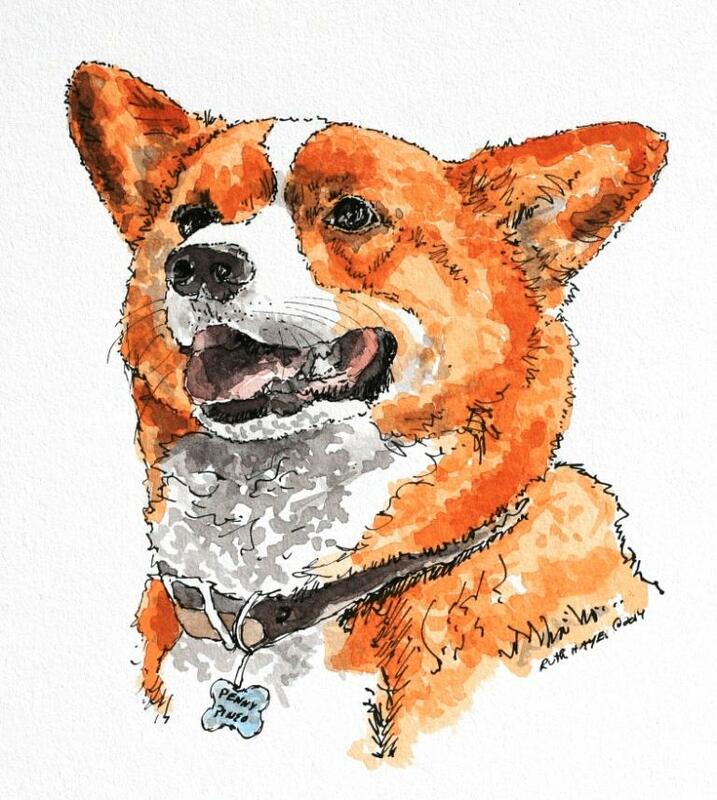 Yesterday, I worked on the corgi portrait. I was pretty comfortable with the pencil up and only made a couple of adjustments before I started inking. The first decision, once the drawing is finished, is how much to ink. I try to start with a bit of figure outline and then once I have established a rhythm, move to the eyes and nose. To me, the eyes are the most critical part. If they are off, the painting will never look right. The nose and mouth are important, but the soul of the drawing is carried by the eyes. I like the 5×7 size I’m working on. It is big enough for detail, but I can keep to the smaller brushes I am comfortable with. Next up, the Japanese chin – another black and white.